Raquel Lopez is a veteran dual immersion teacher and a local business owner in Gilroy, California. She is a graduate of Santa Clara University, where she received her BA in Urban Studies. After graduation, she landed her first job with Gilroy Unified School District. Alongside her teaching career she is also business partners with her husband, both run a local auction company in the bay area. It is with knowledge and experience with auctions and properties that Raquel expanded her expertise to real estate. 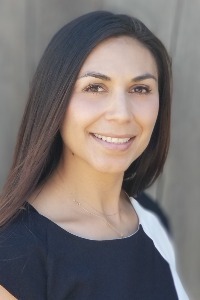 In addition to being a active member in her community she is also serves as a member of the Chamber of Commerce, Gilroy Leadership and has presented at CABE, a national dual language conference. In her free time, Raquel enjoys spending time engaging in community events and volunteering.